The claims come in a lawsuit filed this week in Los Angeles on behalf of Michael Terpin, who co-founded the first angel investor group for bitcoin enthusiasts in 2013. Terpin alleges that crooks stole almost $24 million worth of cryptocurrency after fraudulently executing a “SIM swap” on his mobile phone account at AT&T in early 2018. A SIM card is the tiny, removable chip in a mobile device that allows it to connect to the provider’s network. Customers can legitimately request a SIM swap when their existing SIM card has been damaged, or when they are switching to a different phone that requires a SIM card of another size. But SIM swaps are frequently abused by scam artists who trick mobile providers into tying a target’s service to a new SIM card and mobile phone that the attackers control. Unauthorized SIM swaps often are perpetrated by fraudsters who have already stolen or phished a target’s password, as many banks and online services rely on text messages to send users a one-time code that needs to be entered in addition to a password for online authentication. Terpin alleges that on January 7, 2018, someone requested an unauthorized SIM swap on his AT&T account, causing his phone to go dead and sending all incoming texts and phone calls to a device the attackers controlled. Armed with that access, the intruders were able to reset credentials tied to his cryptocurrency accounts and siphon nearly $24 million worth of digital currencies. According to Terpin, this was the second time in six months someone had hacked his AT&T number. On June 11, 2017, Terpin’s phone went dead. He soon learned his AT&T password had been changed remotely after 11 attempts in AT&T stores had failed. At the time, AT&T suggested Terpin take advantage of the company’s “extra security” feature — a customer-specified six-digit PIN which is required before any account changes can be made. Terpin claims an investigation by AT&T into the 2018 breach found that an employee at an AT&T store in Norwich, Conn. somehow executed the SIM swap on his account without having to enter his “extra security” PIN, and that AT&T knew or should have known that employees could bypass its customer security measures. Terpin is suing AT&T for his $24 million worth of cryptocurrencies, plus $200 million in punitive damages. A copy of his complaint is here (PDF). Mobile phone companies are a major weak point in authentication because so many companies have now built their entire procedure for authenticating customers on a process that involves sending a one-time code to the customer via SMS or automated phone call. In some cases, thieves executing SIM swaps have already phished or otherwise stolen a target’s bank or email password. But many major social media platforms — such as Instagram — allow users to reset their passwords using nothing more than text-based (SMS) authentication, meaning thieves can hijack those accounts just by having control over the target’s mobile phone number. Allison Nixon is director of security research at Flashpoint, a security company in New York City that has been closely tracking the murky underworld of communities that teach people how to hijack phone numbers assigned to customer accounts at all of the major mobile providers. Nixon calls the current SIM-jacking craze “a major identity crisis” for cybersecurity on multiple levels. In essence, mobile phone companies have become “critical infrastructure” for security precisely because so much is riding on who controls a given mobile number. At the same time, so little is needed to undo weak security controls put in place to prevent abuse. Unfortunately, with the major mobile providers so closely tied to your security, there is no way you can remove the most vulnerable chunks of this infrastructure — the mobile store employees who can be paid or otherwise bamboozled into helping these attacks succeed. No way, that is, unless you completely disconnect your mobile phone number from any sort of SMS-based authentication you currently use, and replace it with Internet-based telephone services that do not offer “helpful” customer support — such as Google Voice. Google Voice lets users choose a phone number that gets tied to their Google account, and any calls or messages to that number will be forwarded to your mobile number. But unlike phone numbers issued by the major mobile providers, Google Voice numbers can’t be stolen unless someone also hacks your Google password — in which case you likely have much bigger problems. In this view of security, customer service becomes a customer disservice. With Google Voice, there is no customer service person who can be conned over the phone into helping out. There is no retail-store employee who will sell access to your SIM information for a paltry $80 payday. In this view of security, customer service becomes a customer disservice. Mind you, this isn’t my advice. The above statement summarizes the arguments allegedly made by one of the most accomplished SIM swap thieves in the game today. On July 12, 2018, police in California arrested Joel Ortiz, a 20-year-old college student from Boston who’s accused of using SIM swaps to steal more than $5 million in cryptocurrencies from 40 victims. Ortiz allegedly had help from a number of unnamed accomplices who collectively targeted high-profile and wealthy people in the cryptocurrency space. In one of three brazen attacks at a bitcoin conference this year, Ortiz allegedly used his SIM swapping skills to steal more than $1.5 million from a cryptocurrency entrepreneur, including nearly $1 million the victim had crowdfunded. 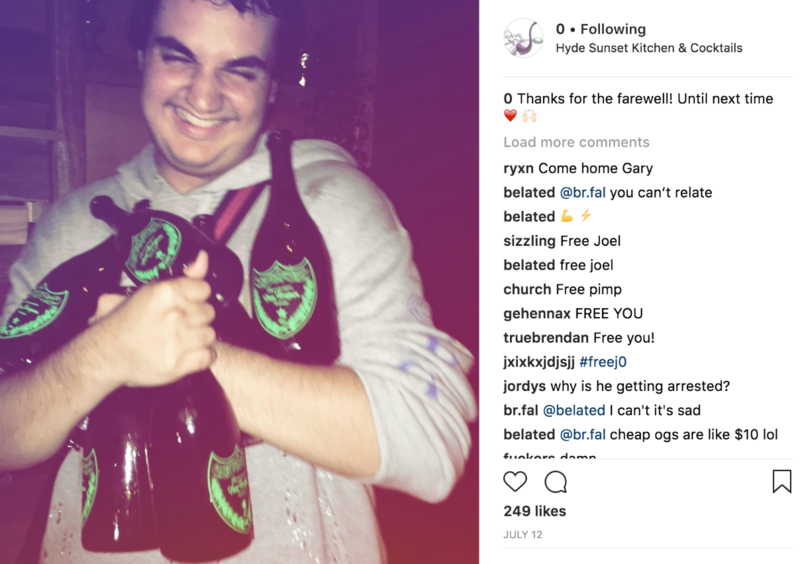 Ortiz reportedly was a core member of OGUsers[dot]com, a forum that’s grown wildly popular among criminals engaging in SIM swaps to steal cryptocurrency and hijack high-value social media accounts. OG is short for “original gangster,” and it refers to a type of “street cred” for possession of social media account names that are relatively short (between one and six characters). On ogusers[dot]com, Ortiz allegedly picked the username “j”. Short usernames are considered more valuable because they confer on the account holder the appearance of an early adopter on most social networks. Shown below is a cached snippet from an Ogusers forum posting by “j” (allegedly Ortiz), advising people to remove their mobile phone number from all important multi-factor authentication options, and to replace it with something like Google Voice. All four major wireless carriers — AT&T, Sprint, T-Mobile and Verizon — let customers add security against SIM swaps and related schemes by setting a PIN that needs to be provided over the phone or in person at a store before account changes should be made. But these security features can be bypassed by incompetent or corrupt mobile store employees. Mobile store employees who can be bought or tricked into conducting SIM swaps are known as “plugs” in the Ogusers community, and without them SIM swapping schemes become much more difficult. Last week, KrebsOnSecurity broke the news that police in Florida had arrested a 25-year-old man who’s accused of being part of a group of at least nine individuals who routinely conducted fraudulent SIM swaps on high-value targets. Investigators in that case say they have surveillance logs that show the group discussed working directly with mobile store employees to complete the phone number heists. In May I wrote about a 27-year-old Boston man who had his three-letter Instagram account name stolen after thieves hijacked his number at T-Mobile. Much like Mr. Terpin, the victim in that case had already taken T-Mobile’s advice and placed a PIN on his account that was supposed to prevent the transfer of his mobile number. T-Mobile ultimately acknowledged that the heist had been carried out by a rogue T-Mobile store employee. So consider establishing a Google Voice account if you don’t already have one. In setting up a new number, Google requires you to provide a number capable of receiving text messages. Once your Google Voice number is linked to your mobile, the device at the mobile number you gave to Google should notify you instantly if anyone calls or messages the Google number (this assumes your phone has a Wi-Fi or mobile connection to the Internet). After you’ve done that, take stock of every major account you can think of, replacing your mobile phone number with your Google Voice number in every case it is listed in your profile. Here’s where it gets tricky. If you’re all-in for taking the anti-SIM-hacking advice allegedly offered by Mr. Ortiz, once you’ve changed all of your multi-factor authentication options from your mobile number to your Google Voice number, you then have to remove that mobile number you supplied to Google from your Google Voice account. After that, you can still manage calls/messages to and from your Google Voice number using the Google Voice mobile app. And notice what else Ortiz advises in the screen shot above to secure one’s Gmail and other Google accounts: Using a physical security key (where possible) to replace passwords. This post from a few weeks back explains what security keys are, how they can help harden your security posture, and how to use them. If Google’s own internal security processes count for anything, the company recently told this author that none of its 85,000 employees had been successfully phished for their work credentials since January 2017, when Google began requiring all employees to use physical security keys in place of one-time passwords sent to a mobile device. Standard disclaimer: If the only two-factor authentication offered by a company you use is based on sending a one-time code via SMS or automated phone call, this is still better than relying on simply a password alone. 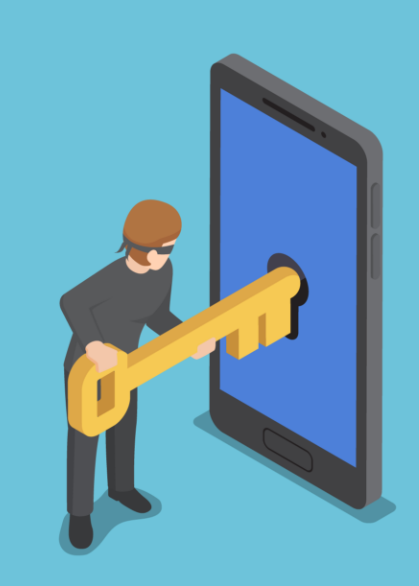 But one-time codes generated by a mobile phone app such as Authy or Google Authenticator are more secure than SMS-based options because they are not directly vulnerable to SIM-swapping attacks. The web site twofactorauth.org breaks down online service providers by the types of secondary authentication offered (SMS, call, app-based one-time codes, security keys). Take a moment soon to review this important resource and harden your security posture wherever possible.